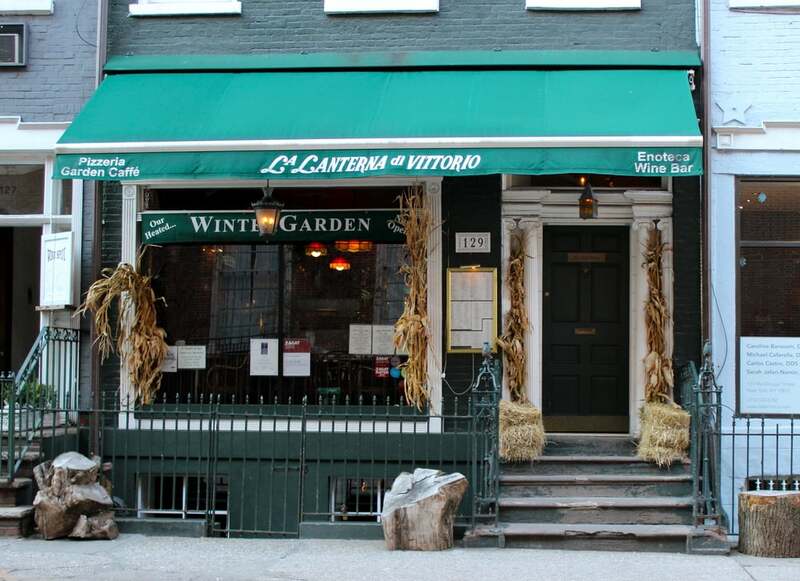 La Lanterna di Vittorio (129 MacDougal St.) has been a decades-long favorite of mine -- a warm, romantic cafe, an oasis in the city with great coffee & deadly deserts. That guitarist Peter Mazza helped them set up a jazz room, called The Bar Next Door, when they acquired the small space in the basement next door doubled the reason to go there. I've happily caught a number of other artists there over time; the small space creates an artist / audience intimacy found nowhere else in town. Literally, 15 to 20 people make it SRO. It's as close to a house concert you will find in a commercial space. On Saturday, January 9, I had the pleasure of catching a friend's guitar trio: Guitarist Joe Giglio, bassist Michael Gold and drummer Eric Peters. I expected the usual NY club playing fare: highly competent, not-too adventurous work by players allied for the evening's gig, with little-to-some chemistry. What I was not prepared for was the extraordinary openness & communication among these excellent musicians. Normally, players know the tune well enough, and do something interesting with it. This night, however, was reserved for bigger game. The three men spun amazingly complex threads out of old Songbook tunes. Most players create alterations to these tunes, use them as starting points, etc. For these three, the tune was merely the ignition switch, as they'd start with a creatively altered version of the chorus from Giglio, then they'd take off from there, creating an entirely new universe; each man most often holding his eyes closed, listening intently to each nuance produced by his mates, prodding the others to new & different heights; throughout, beatific smiles shone on all three faces. More than once, it actually shocked me when the core song would reappear, as I'd been so rapt in where we had gone that I'd forgotten where we'd started. This was improvised music as I've always imagined it, and don't get to experience very often. Each player's component piece expertly interlocked with the others' logic. The aural communication & trust among them created explorations that were every bit as delicious & satisfying as the rich chocolate mud cake and red wine from the cafe next door.